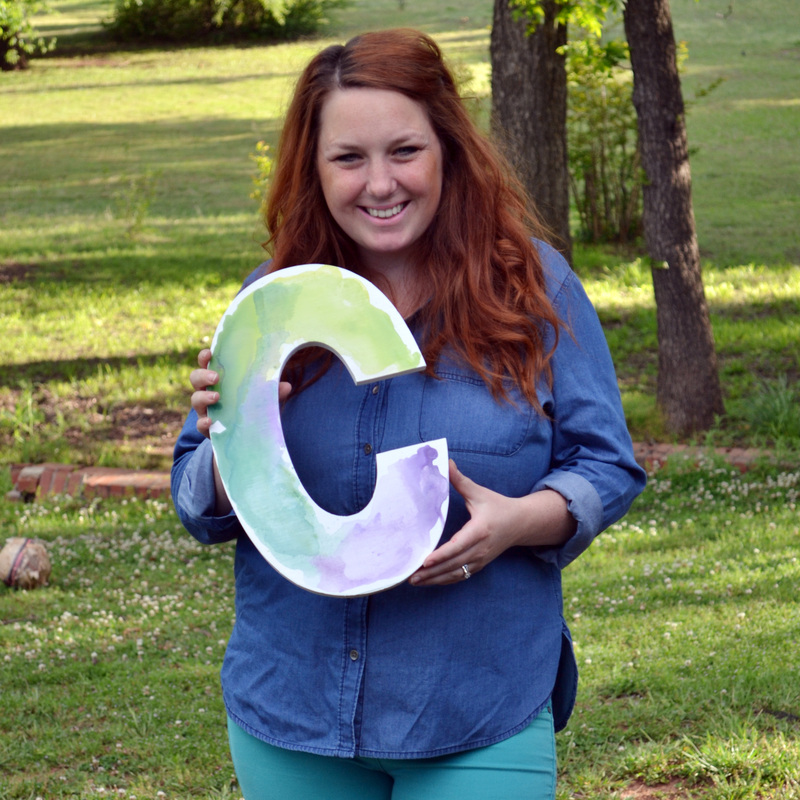 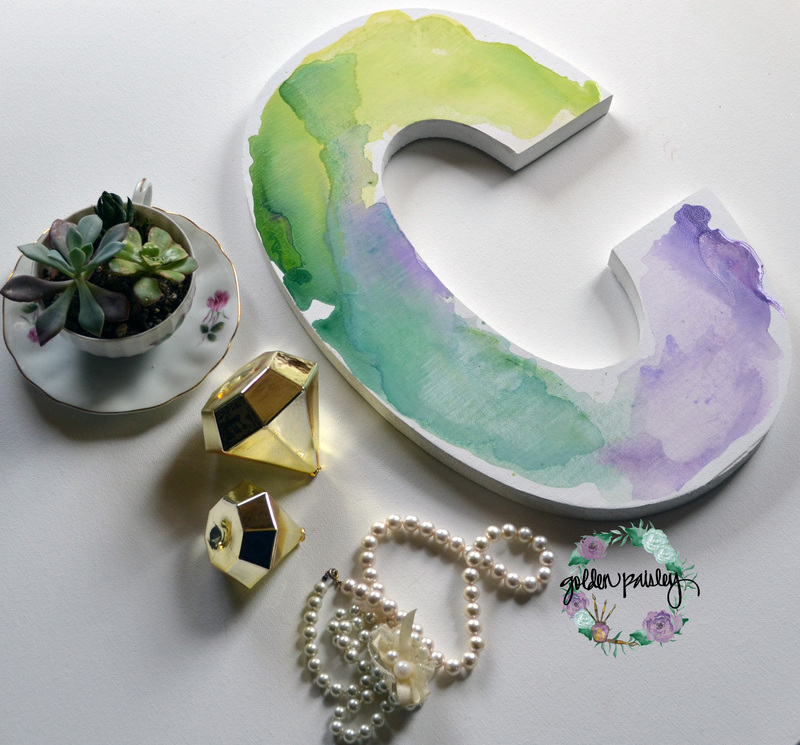 The dreamy pastel shades in this multi-color watercolor monogram letter blend together into a truly gorgeous color scheme! 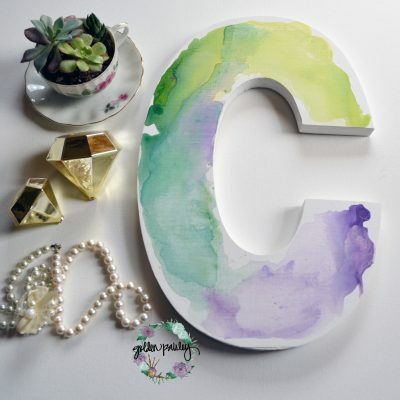 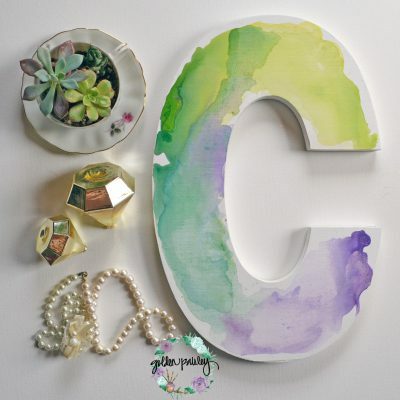 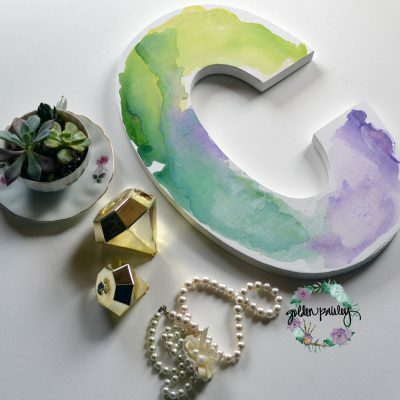 Each letter is 15 inches tall, to make a beautiful statement on your wall. The letters are wooden, covered on the front in canvas, and include a keyhole opening on the back (two on larger letters like Ms) for easy hanging. 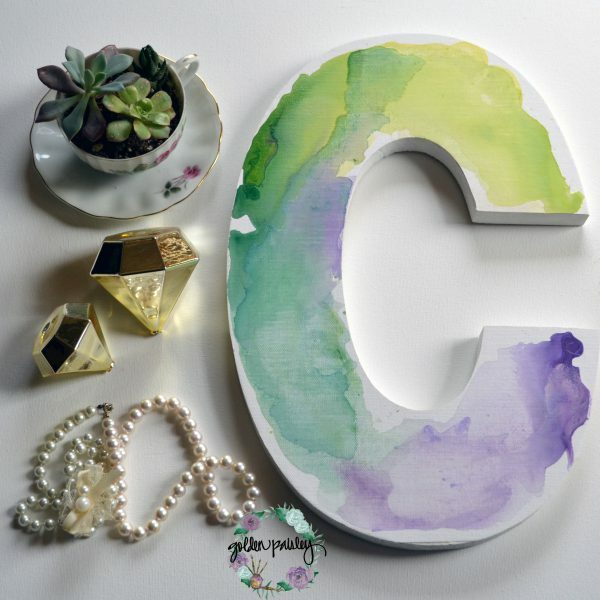 The canvas top is hand painted in three perfectly complimenting shades of watercolor paint, and blended together expertly. 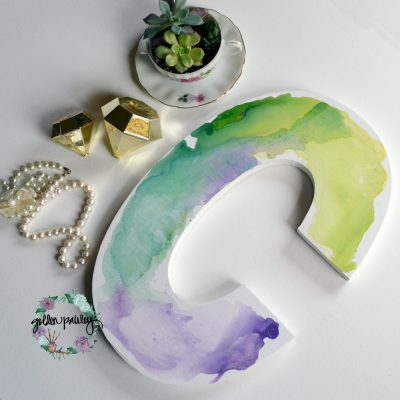 As each is made to order and completely handpainted, the placement and blend of the three colors may vary slightly on your letter. This piece is fully customize-able! 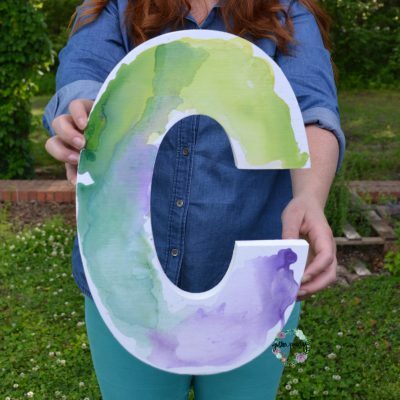 I can change the watercolor shades to match your decor, and write out any word you’d like on top as well. 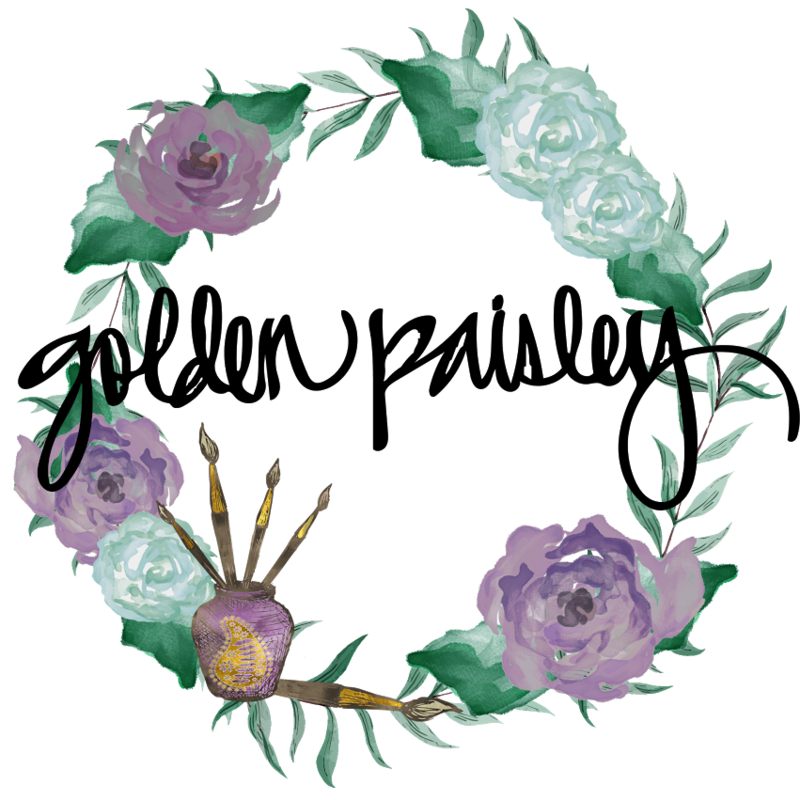 Production time is 2 weeks from date of purchase. Please specify the monogram letter you’d like in the “notes” field upon checkout.